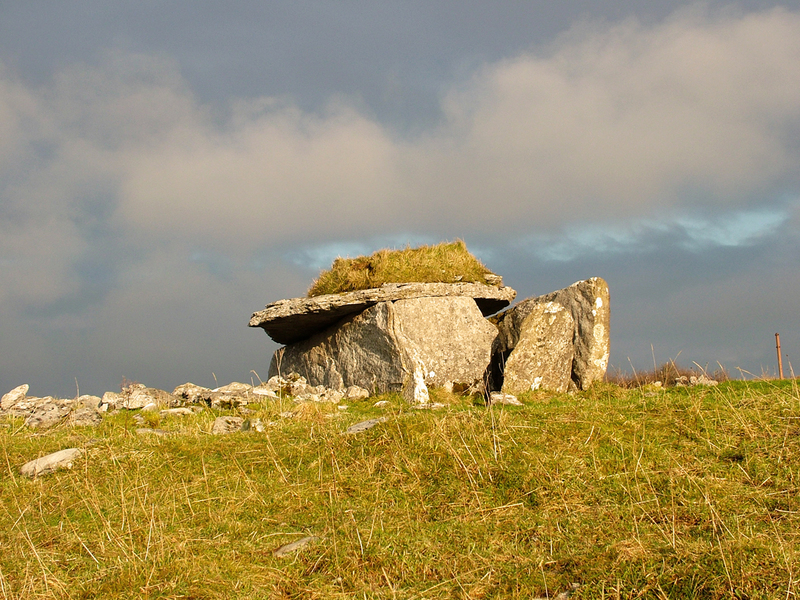 The Burren is without doubt Ireland’s flagship landscape in terms of heritage, both natural and built. 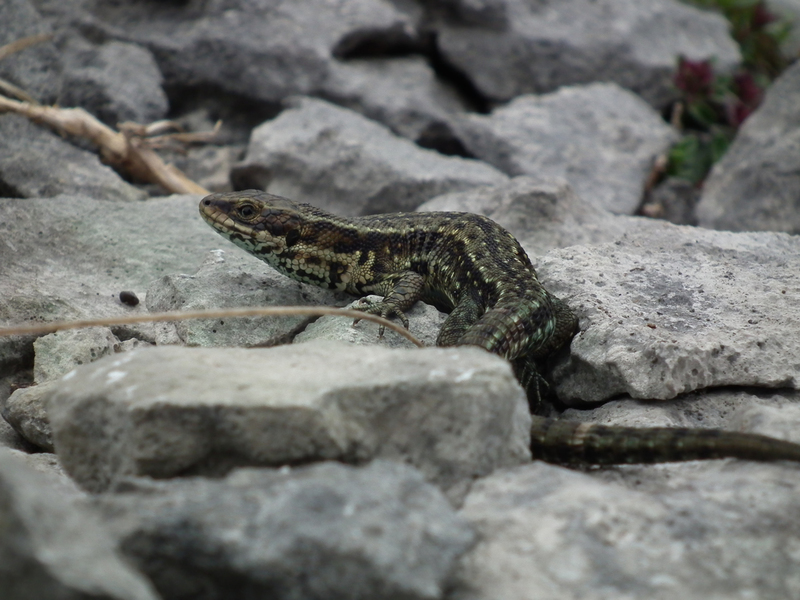 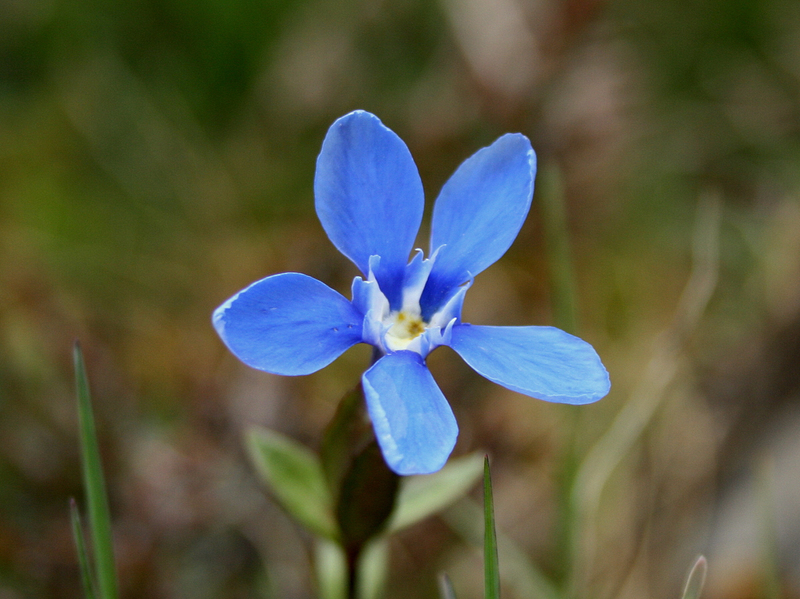 The great diversity of habitats found in the Burren play host to over 70% of our native plant species from Alpine gentians to Mediterranean orchids and ferns, as well as a stunning array of fauna, from rare moth to snail species, majestic peregrine falcons to elusive slow worms. 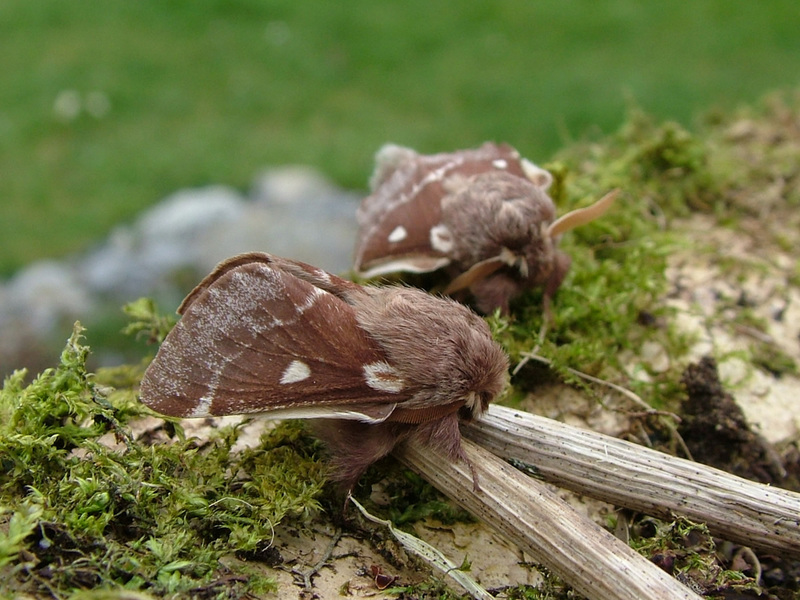 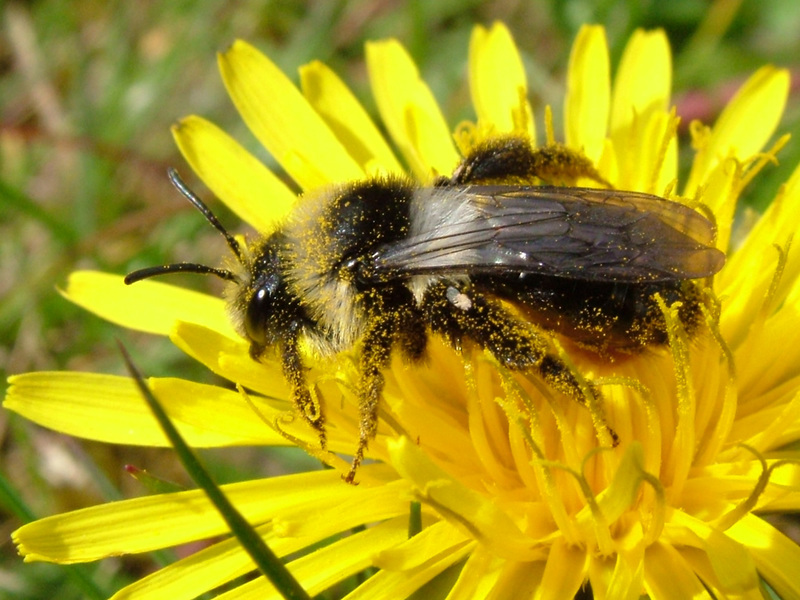 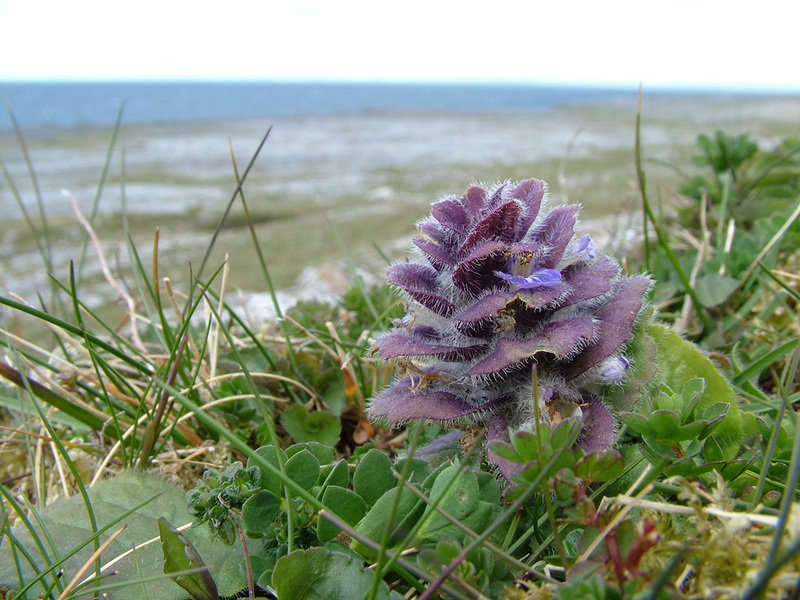 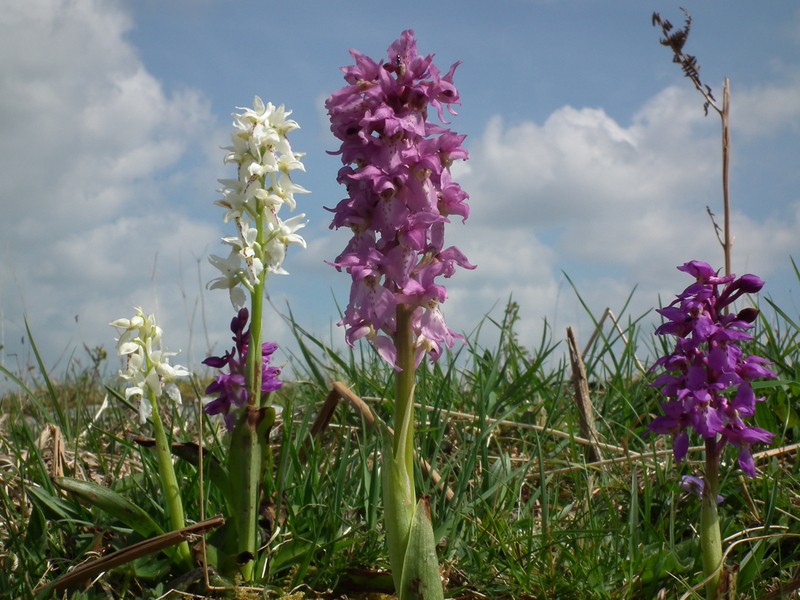 Check out our Habitats section and burrenbeo.com for some more information on these habitats and species. 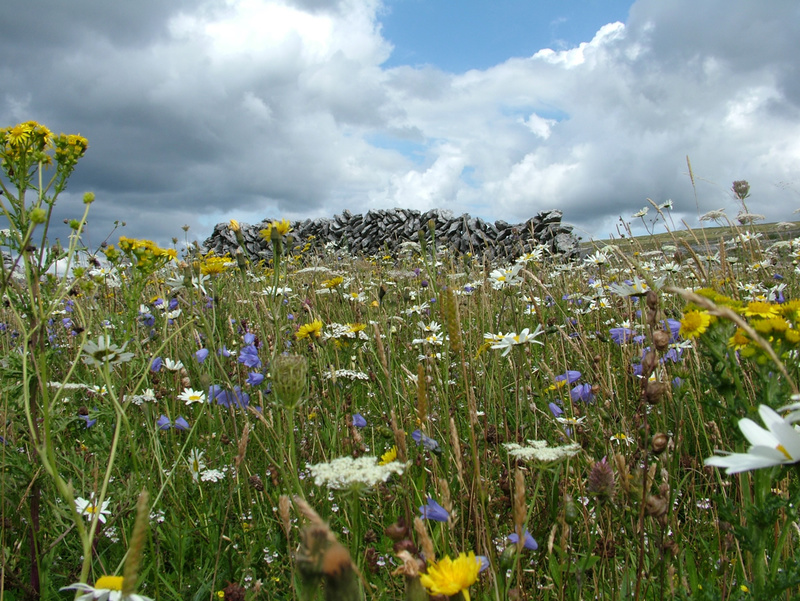 But this renowned biological wealth is but one aspect of what makes the Burren a truly special heritage landscape. 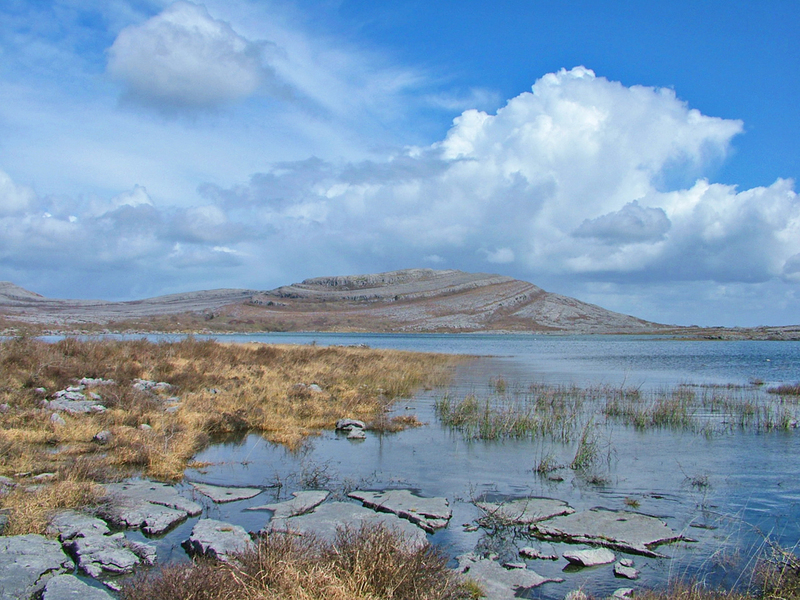 The distinctive ‘glaciated karst’ landscape of the Burren is, for many, its defining feature. 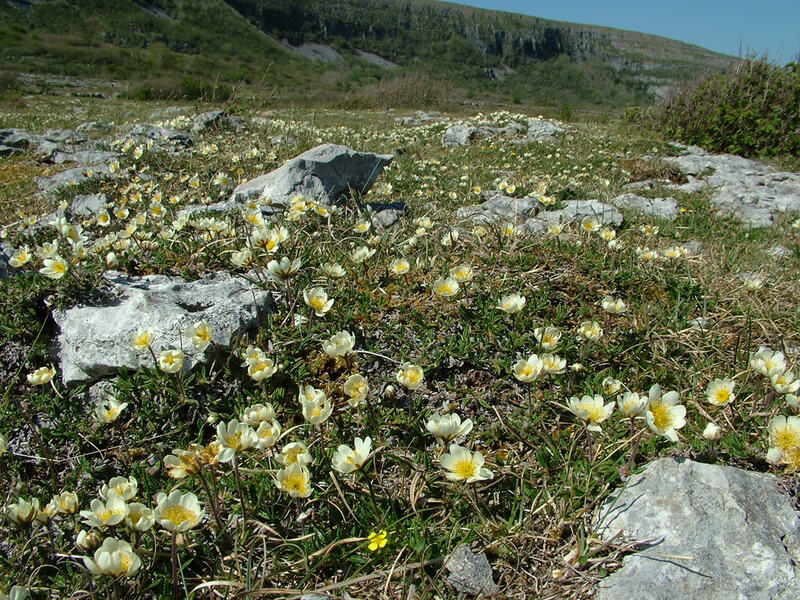 Expansive stretches of bare limestone pavement criss-crossed with deep fissures (grikes) dominate many people’s visual impression of a landscape that is full of paradoxes, from hidden lakes (turloughs) to underground streams, arid rocky outcrops to lush, moss-drenched hazel woodland. 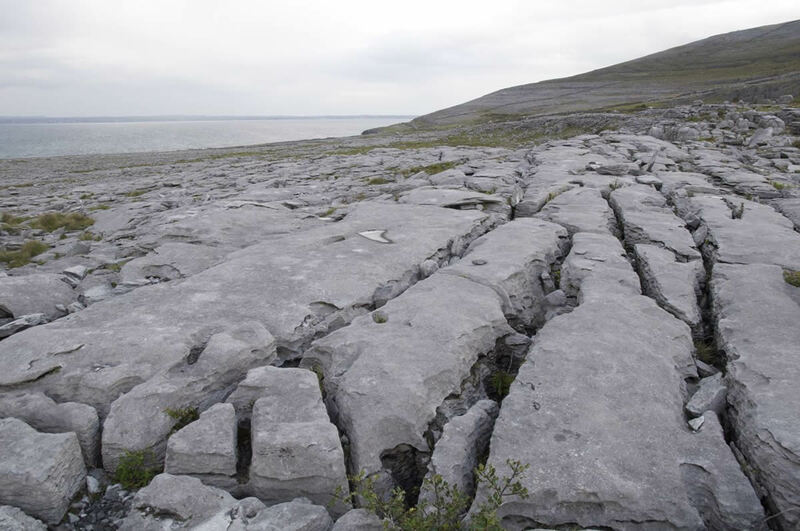 It’s a terrfic place to witness first hand geological phenomena such as rock formation (fossil-rich), the impact of tectonic, glacial and solutional forces, and the role of agriculture in shaping the landscape. Now a UNESCO supported Geopark, the Burren does indeed boast a remarkable geological heritage. 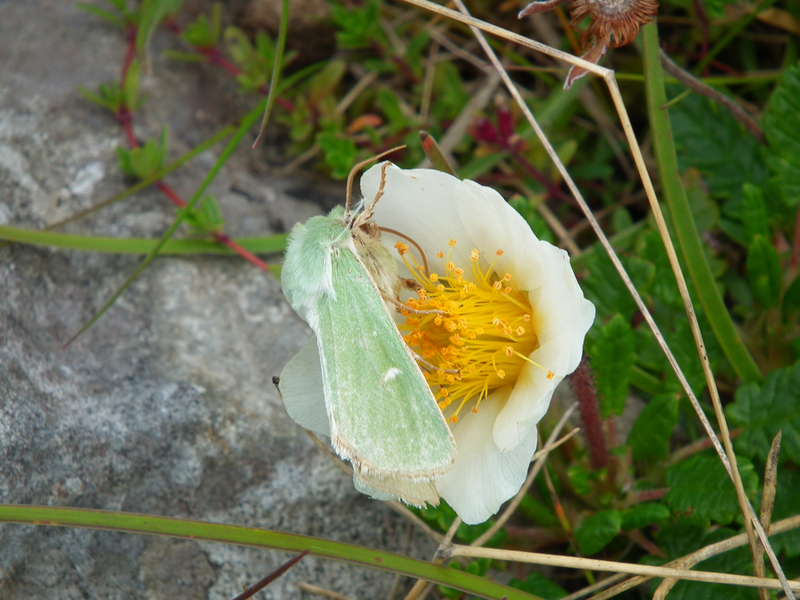 For more information, see burrengeopark.ie and burrenbeo.com. 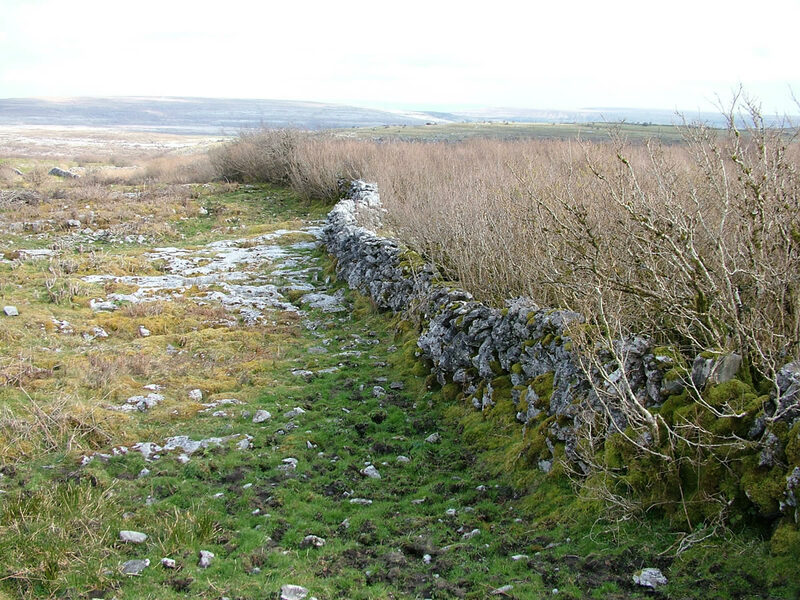 The Burren is very much a lived-in landscape, boasting almost 6,000 years of farming activity. 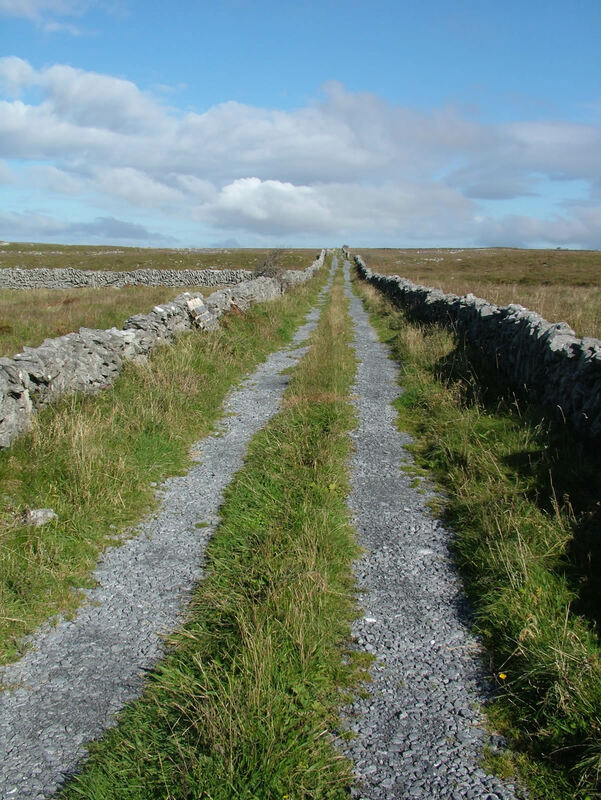 A walk across the Burren is a walk through space and time. 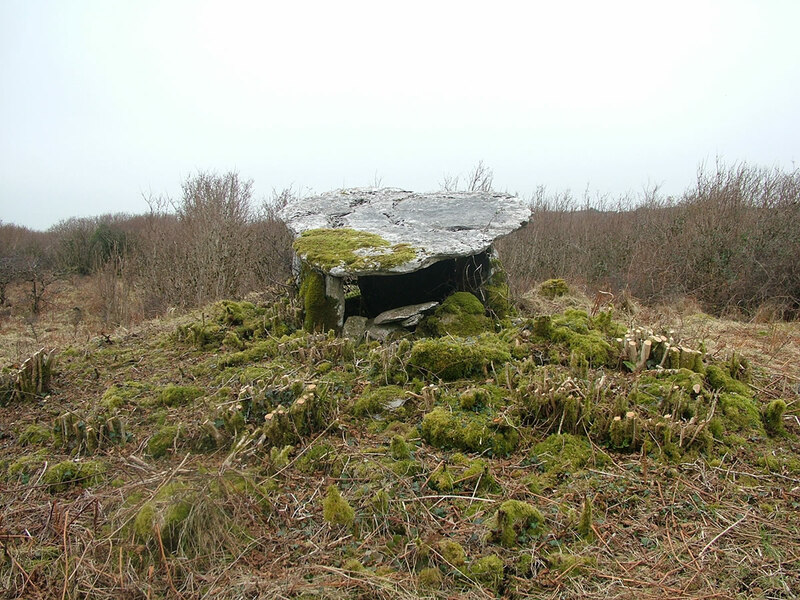 This story can be traced through the Burren’s largely intact archaeological record – which has survived so well because of its rocky character and the low-impact pastoral activities that always prevailed here. 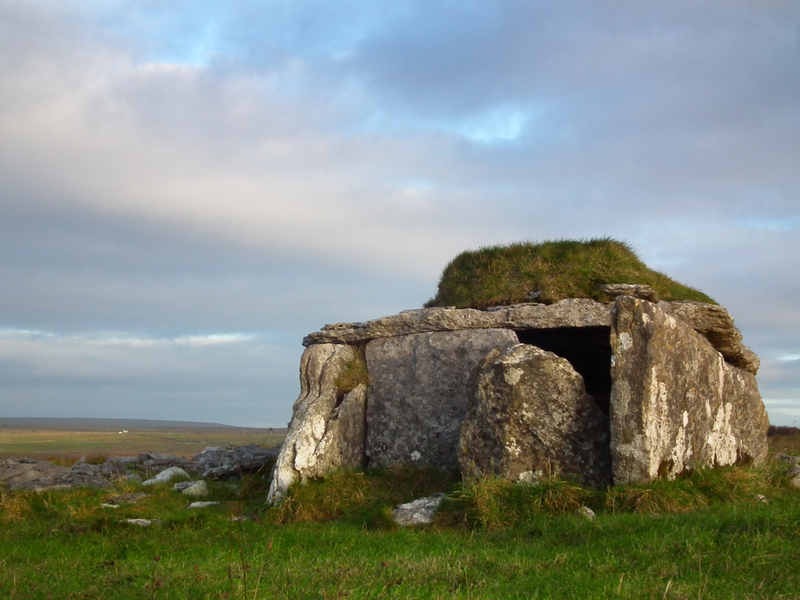 From the earliest recorded monument — the iconic Poulnabrone dolmen dated to 3,800BC, through the scores of Megalithic tombs, hundreds of Bronze Age Fulacht Fiadh (cooking sites), Iron Age burial mounds, early Christian churches, Medieval tower houses and on to a suite of fascinating 19th and 20th century farm structures — this record is very well represented and accessible. For more information visit burrenbeo.com. 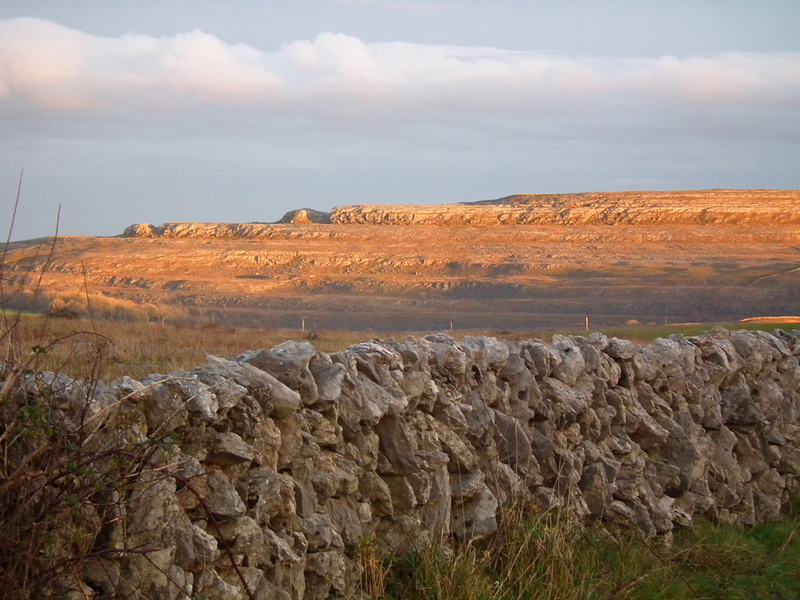 The Burren is also home to a vibrant, living culture of music, art, craft, literature and sport. 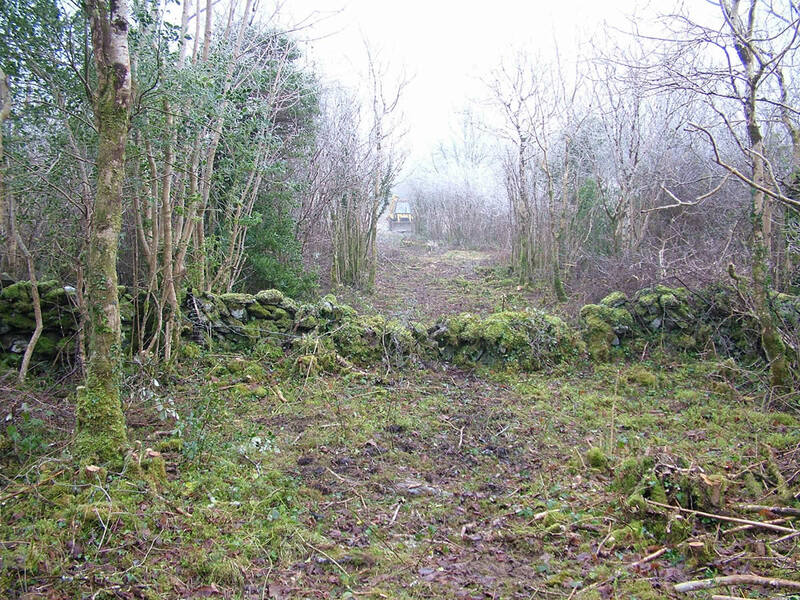 Hurling and football clubs are active in the Burren, keeping alive the games championed by the original founder of the GAA, Michael Cusack, who hailed from the Burren. 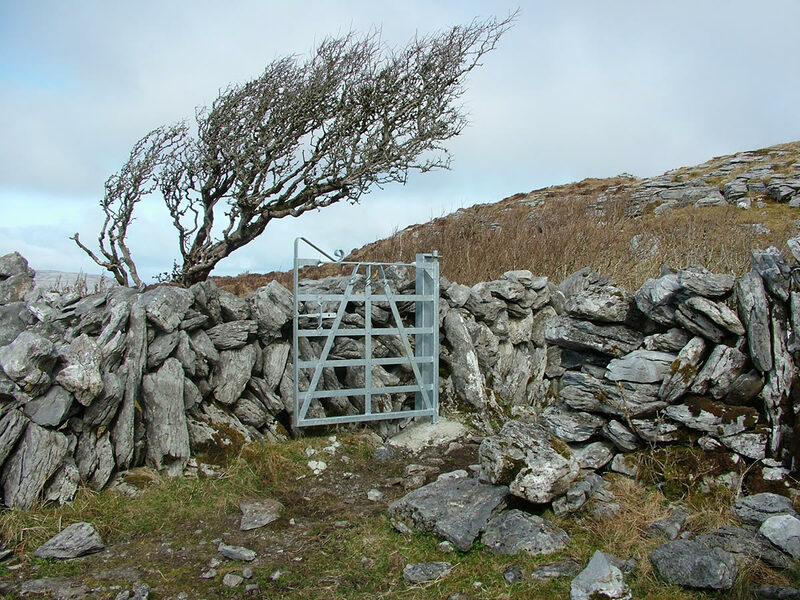 Famous musical families from the Burren, including the Shannons from Ruan, the Russels from Doolin and the Droneys from Bell Harbour, are internationally renowned. 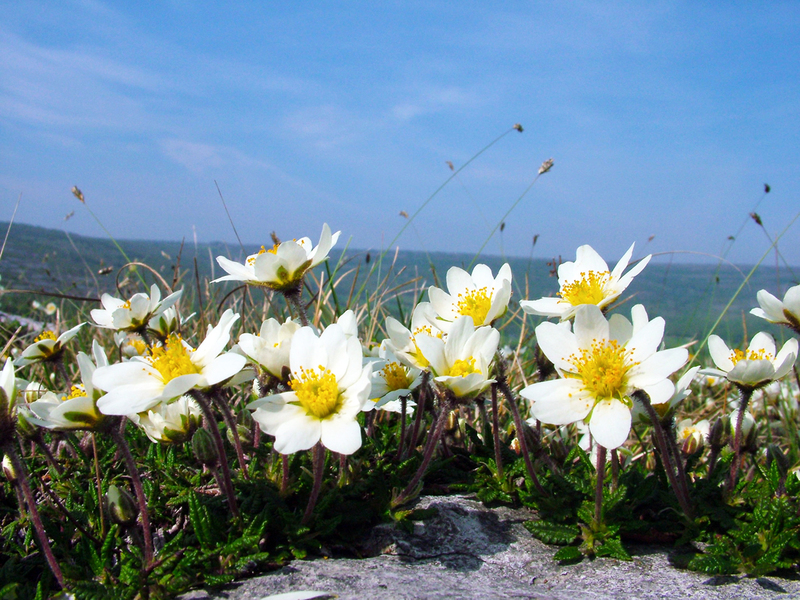 Poets such as Yeats and Heaney wrote beautifully about the Burren. 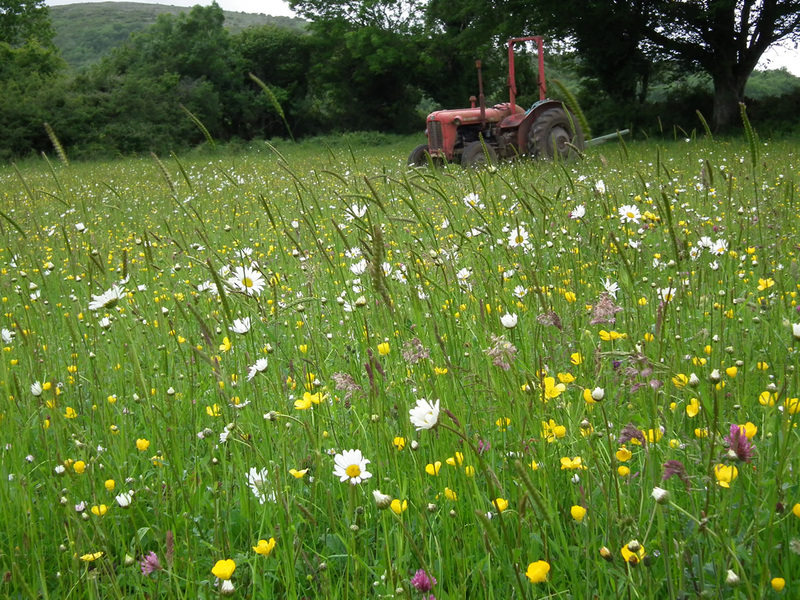 And let’s not forget our farmers whose unique culture is wonderfully exemplified in the ancient tradition of winterage. 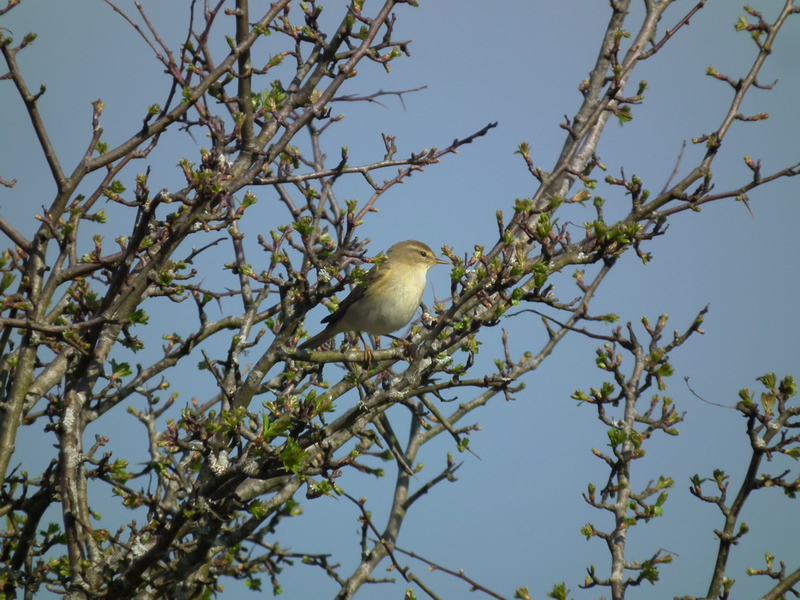 For more information see burrenbeo.com.